want to make a difference." See Grantee Feedback in Action! Hear from three foundation leaders in this quick video. 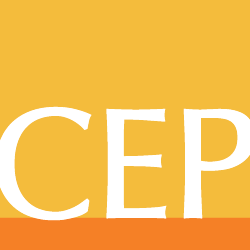 The Center for Effective Philanthropy (CEP) is a nonprofit organization focused on the development of data and insight to enable higher-performing funders. CEP’s mission is to provide data and create insight so philanthropic funders can better define, assess, and improve their effectiveness — and, as a result, their intended impact. This mission is based on a vision of a world in which pressing social needs are more effectively addressed. It stems from a belief that improved effectiveness of philanthropic funders can have a profoundly positive impact on nonprofit organizations and the people and communities they serve. Our assessments help funders get feedback from key constituents, such as grantees, applicants, staff, and others. CEP’s assessments are unique because results are put in a comparative context, allowing funders to benchmark their performance against others. Our research publications examine common practices, challenge conventional wisdom, and offer guidance and advice. They cover vexing issues such as developing productive working relationships with nonprofits, strategy, performance assessment, and foundation governance. Our programming brings together foundation leaders, trustees, and major donors to learn and improve their effectiveness. Through conferences, webinars, and speaking engagements, we share insight from our research and comparative data sets that enable funders to reflect on the context of their work. Our customized advisory services provide data-driven, customized advising to funders — including individuals, foundations, groups, and associations — to help them better understand and improve their effectiveness.